Lauded by The Strad for her “beguiling… thrilling and exuberant” Royal Festival Hall debut, Shiry pursues an international solo, chamber, teaching and orchestral career. A versatile musician, her performances have taken her across the globe to such venues as the Tel Aviv Opera House and Geneva Victoria Hall, including engagements for HRH Prince Charles and the Emperor and Empress of Japan. Born in London to a musical family, she began her artistic education aged five under the guidance of her parents, violin pedagogues Itzhak Rashkovsky and Ani Schnarch. After obtaining a BA in Social and Political Sciences from St Catharine’s College, Cambridge, Shiry went on to complete a Masters with First Class Honours and Artist Diploma at the Royal College of Music, where she studied with Natasha Boyarska and Ian Jewel. 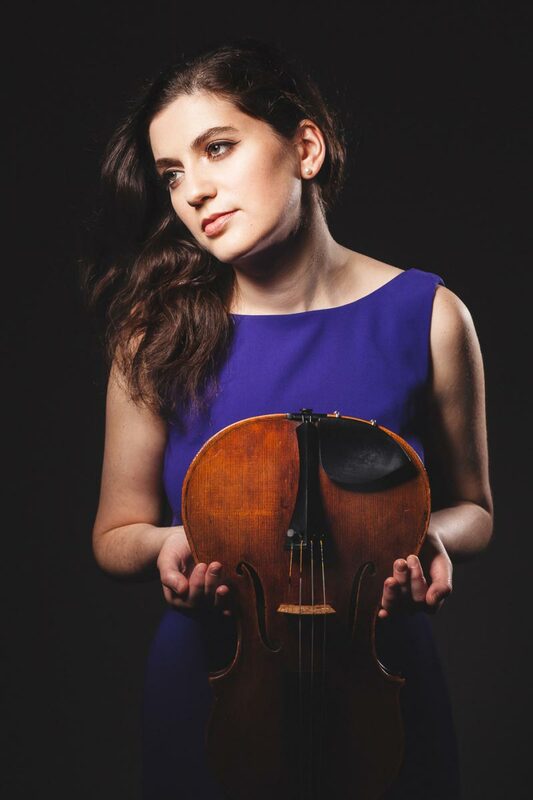 Highly in demand as a soloist and recitalist, Shiry is a prize-winner of the Martin Musical Scholarship Fund, Cecil Aronowitz Viola Prize, Philharmonia Orchestra Meyer Award, the Countess of Munster Musical Trust Recital Scheme and is a 2017-2018 Making Music Selected Artist. She has broadcast live for BBC Radio 3 and BBC 4, New York’s WQXR, Italy’s RAI and the Israeli Broadcasting Authority. She has performed in the Southbank, Cadogan Hall, Barbican and other prestigious venues. Invitations to festivals of renown include Prussia Cove Open Chamber Music, Keshet Eilon International Music Centre, Bowdoin International Music Festival and vibrate!festival 2016. She has performed in chamber ensembles with Shmuel Ashkenasi, Atar Arad, Stephan Barratt-Due, Adrian Brendel, Ian Brown, Viviane Hagner, Rudolf Koelman, Min Jin Kym, Pekka Kuusisto and Shlomo Mintz, among others. Sought after as a teacher, Shiry was appointed Professor of Viola at Royal Holloway, University of London, in 2013. She is the Director of Preparatory and Primary chamber music courses at Pro Corda and is on the faculty of the New Virtuosi International Mastercourse. Shiry freelances with the London Symphony Orchestra, BBC Symphony Orchestra, Royal Philharmonic Orchestra and was an Associate Member of the Philharmonia Orchestra (2015). Dedicated to the promotion of new music for the viola, she gave the world premiere of Kate Whitley’s Viola Concerto which was dedicated to her in 2010. She recorded the concerto with the Multi-Story Orchestra, conducted by Christopher Stark, for NMC records in 2016, which was broadcast on BBC Radio 3.